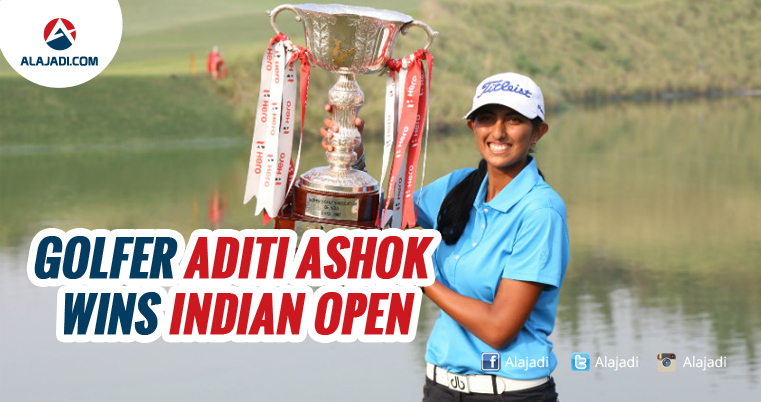 Aditi Ashok scripted history on Sunday as she became the first Indian woman to win a Ladies European Tour title by clinching the Hero Women’s Indian Open. The 18-year-old shot an even par-72 in the final round to win the title. Carrying a two-stroke overnight lead, the teenager took her total score to three-under 213, one stroke clear of Brittany Lincicome of the US and Spaniard Belen Mozo who finished tied second. Aditi’s round included birdies on the par-four second and 10th holes and bogeys on the seventh, 13th and 17th. She became richer by Euro 54,988.20. 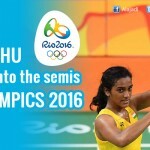 The Rio Olympian golfer needed at least a birdie on the final hole to avoid a three-way tie. But she held her nerve to secure her 13th birdie of the tournament on the par-5 18th to make history. The Indian, who had impressed at the Olympics, had carded 3 under 69 on the second day to grab the sole lead at the DLF Golf and Country Club. Aditi, who started her day on Saturday in tied ninth position, had an indifferent front nine. She carded a birdie on the 2nd hole. However, a dropped shot on the 6th and miss-hit into the water on the 9th, which resulted in a double bogey, added to her woes. But the 18-year-old rookie was unfazed by the initial setbacks and fired five birdies in her back nine to finish with a total score of 141 after the second round.